Christer Byström is someone who has taken his boating dream in his own direction and made a success of it. A big theme has been very small sharp bowed boats: beginning with building Phil Bolger’s tiny Queen Mab design, Christer has gone on to build several small boats using the strip planking technique. My favourite among these is his Bridget, which he designed for his daughter and which takes its rig from an Optimist. I should add that he has also designed andbuilt at least one larger boat. 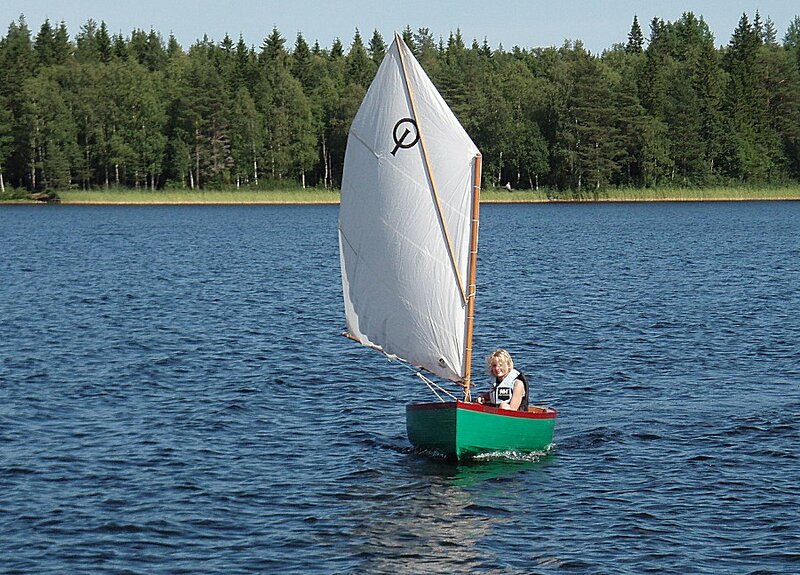 But what everyone really needs toknow about Christer’s boats is that he makes the plans available for free. Check them out at his free plans website. Christer Byström , förmodar jag! Jag blev mycket överraskad när jag hittade in i denna information. upp mot däcket. Vill du se och veta mer av det enda exemplaret ? I have been trying to get access to these plans through Crister but I am not getting a response from his email. Anyone know if he is still sharing these? Next Next post: Can anyone help with the history of AH Comben’s Nosila, built by HB Hornby?